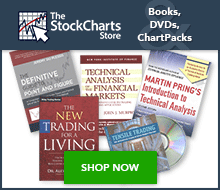 You are here: ChartSchool » Overview » Why Analyze Securities? Security Analysis - Does it Matter? Which Form Exists in the Market Today? Wall Street has scores of analysts, strategists and portfolio managers hired to do one thing: beat the market. Analysts are hired to find undervalued stocks. Strategists are hired to predict the direction of the market and various sectors. Portfolio managers are hired to put it all together and outperform their benchmark, usually measured as the S&P 500. Granted, there are many studies and disputes raging on the performance of equity mutual funds, but it is safe to assume that about 75% of equity mutual funds underperform the S&P 500. With these kinds of stats, individual investors would surely be better off simply investing in an index fund rather than attempting to beat the market, wouldn't they? The added value of analysis is in the eye of the beholder. A fundamental analyst believes that analyzing strategy, management, product, financial statistics and many other readily and not-so-readily quantifiable numbers will help choose stocks that will outperform the market. They are also likely to believe that there is little-to-no value in analyzing past prices and that technical analysts would be better off stargazing. (Humph!) The technical analyst believes that the chart, volume, momentum and an array of mathematical indicators hold the keys to superior performance. Technicians are just as likely to believe that fundamental data is complete hogwash. And then there are the Random Walkers who believe that any attempt to try and outwit the market is futile. So whom do we believe? Is fundamental analysis worth the time and effort? Are technicians a bunch of quacks? Or is it all a lesson in random futility? We can begin to answer these questions by looking at the efficient market hypothesis and seeing where the fundamentalists, technicians and random walkers stand on the question of market efficiency. After we have explored this area, we will then take a closer look at the random walk theory, fundamental analysis, and technical analysis. The debate concerning the value of analysis begins with the question of market efficiency. Just what is represented by the current price of a security? Is a security's current price an accurate reflection of its fair value? Or do anomalies exist that allow traders and investors the opportunity to beat the market by finding undervalued or overvalued securities? Aswath Damodaran, of the Stern Business School at New York University, defines an efficient market as one in which the market price is an unbiased estimate of the true value of the investment. That's true, but it's also an oversimplification. In an efficient market, the current price of a security fully reflects all available information and is the fair value. In this ideal scenario, the price is the sum value of all views (bullish, bearish or otherwise) held by market participants. As new information becomes available, the market assimilates the information by adjusting the security's price up (buying) and down (selling). Thus, the price is the fair value because the market agreed on a price to buy and sell the security. In an efficient market, deviations above and below fair value are possible, but these deviations are considered to be random. Over the long run, the price should accurately reflect fair value. The hypothesis further asserts that if markets are efficient, then it should be virtually impossible to outperform the market on a sustained basis. Even though deviations will occur and there will be periods when securities are overvalued or undervalued, these anomalies will disappear as quickly as they appeared, thus making it almost impossible to profit from them. From experience, most of us would agree that the market is not perfectly efficient: anomalies do exist and there are investors and traders that outperform the market. Therefore, there are varying degrees of market efficiency, which have been broken down into three levels. These three levels also happen to correspond to the beliefs of the fundamentalists, technicians and random walkers. The Strong Form of market efficiency theorizes that the current price reflects all information available. It does not matter if this information is available to the public or privy to top management; if it exists at all, it is reflected in the current price. Because all possible information is already reflected in the price, investors and traders will not be able to find or exploit inefficiencies based on fundamental information. Generally, pure technical analysts believe that the markets are Strong Form efficient and all information is reflected in the price. The Semi-Strong form of market efficiency theorizes that the current price reflects all readily available information. This information will likely include annual reports, SEC filings, earnings reports, announcements and other relevant information that can be readily gathered. However, there is other information not readily available to the public that is not fully reflected in the price. This could be information held by insiders, competitors, contractors, suppliers or regulators, among others. Anomalies exist when information is withheld from the public and the only way to profit is by using information not yet known to the public. This is sometimes called insider trading. Once this information becomes public knowledge, prices adjust instantaneously, so it is virtually impossible to profit from such news. The Random Walk theory is an example of the Semi-Strong Form of market efficiency. The Weak Form of market efficiency theorizes that the current price does not reflect fair value and is only a reflection of past prices. Furthermore, the future price cannot be determined using past or current prices (sorry technical analysts). Fundamental analysts are champions of Weak Form market efficiency and believe that the true value of a security can be ascertained through financial models using information readily available. The current price will not always reflect fair value, and these models will help identify anomalies. After pre-announcing that earnings would come in below expectations on 6-Jan-00, Lucent fell from 59 to 43 in one day. After positive comments from an influential analyst on 23-Feb-00, Time Warner shot up 49 to 59 in 2 days. After reporting earnings that were below expectations on 15-Feb, Abercrombie & Fitch fell from 24 to 15. Although these are but a few examples, it is obvious that new information can move the price of a security in non-random ways.